Good quality sleep is a vital part of a healthy lifestyle! 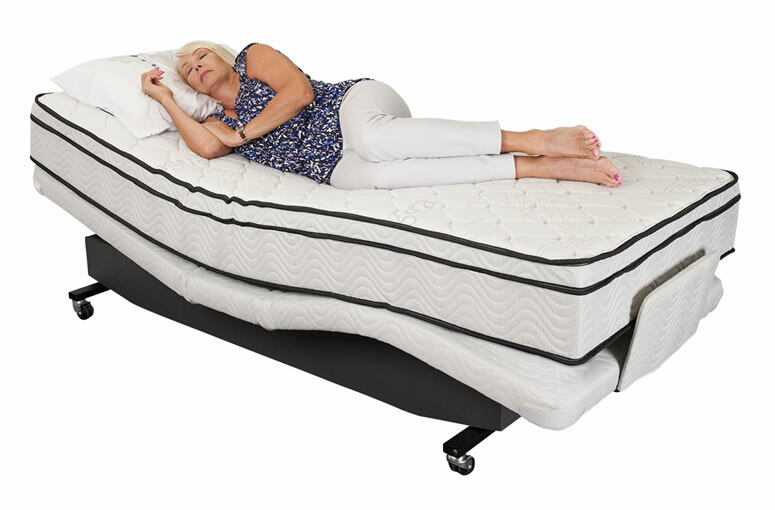 Introducing the Niagara Platinum 6 CVT Adjustable Sleep System. A wireless touch control fully adjustable sleep system, that is available in a full range of sizes to suit every requirement. Adjustable sleep systems allow you to raise the back and legs independently to suit your body allowing you to focus on obtaining comfort and relaxation. This is expertly combined with Niagara’s Cycloid Vibration Therapy motors built in to provide a full body delivery system for a complete Niagara Therapy experience. Sleep is important to human health and we believe our Platinum IV Adjustable CVT Sleep System is the very best product that we can create for our valued clients. Create the sleeping position that is truly yours! 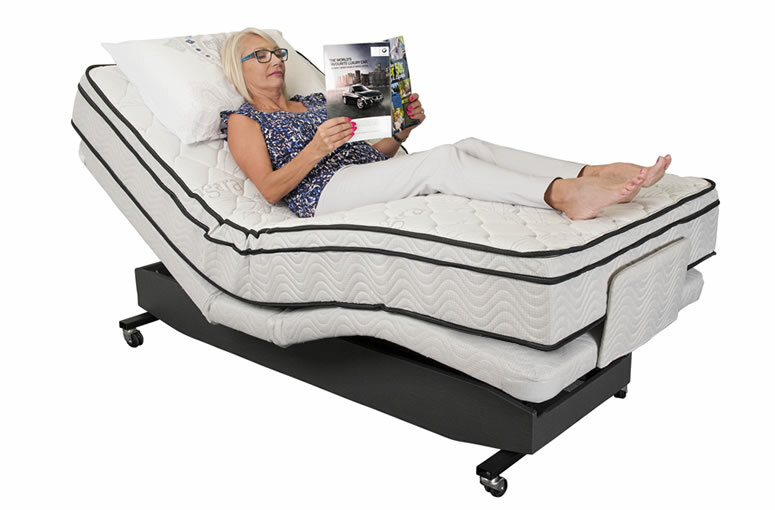 A specifically designed Australian made mattress for Niagara’s Platinum VI CVT Adjustable Sleep System, combine together with a bed base that is made to our manufacturing standards. With micro adjustment controls, the position that is right for your body can be found at a push of a button. Two memory positions, three therapy massage settings, and digital timer take the guesswork out and make the Niagara Platinum IV as easy to use as it is effective. Combine a relaxing activity with the ability to enjoy a Full Body Therapy treatment. Creating maximum support for those who a seeking relief of joint pain and a restful nights sleep. Allows you to manage your individual therapy needs and create positions that provide complete support. 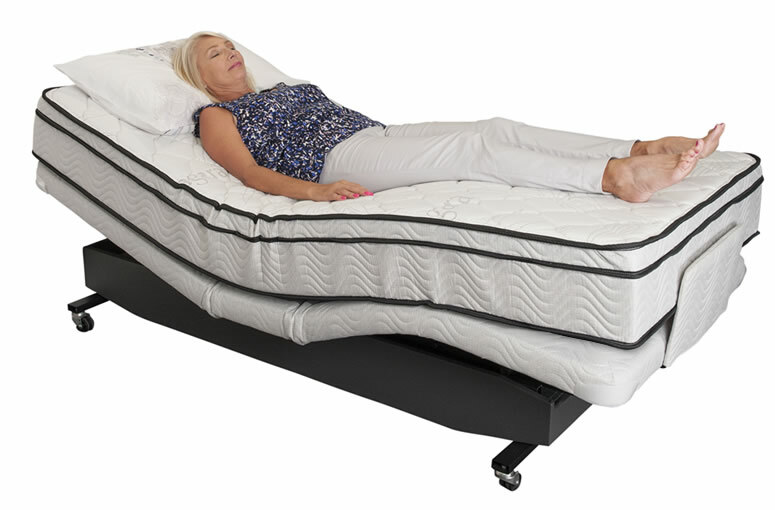 Niagara’s ‘Platinum VI’ Electric Adjustable Sleep System range is adaptable to multiple programmable sleep and rest positions. 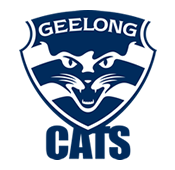 A good night sleep is an important part of a healthy lifestyle. Learn more about Niagara’s Electric Adjustable Beds Sleep System! 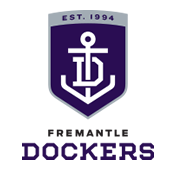 Niagara Therapy is a proud Official Supplier to the Fremantle Dockers and Geelong Cats AFL Teams and The Brisbane Broncos NRL Team. These clubs use Niagara CVT devices on players and management throughout their respective seasons and off-seasons.